Over the course of the last few years since getting involved with games writing, I’ve been to quite a number of large-scale trade shows of all varieties, namely E3, PAX East, and New York Comic Con. While tradeshows and gaming conventions are a dime a dozen these days — with those three being the ones I’ve frequented the most — nevertheless conventions can be experiences that are intimidating as much as they are exciting and thrilling, for a lot of different reasons. 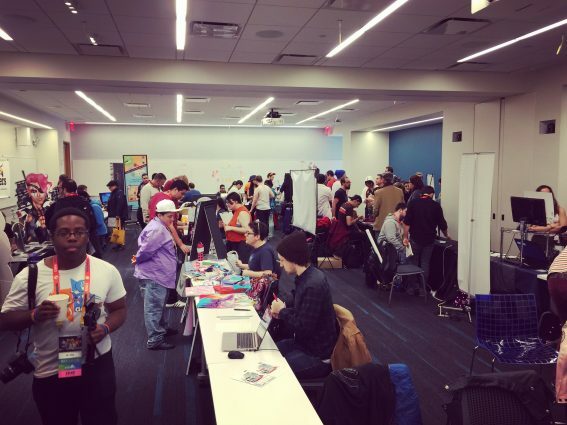 Where shows like PAX, New York Comic Con, E3, and so many others are often massive in scale, the events of GaymerX — a gaming organization focused around the LGTBQIA community — showcased a more intimate level of community, support, and encouragement when it comes to celebrating those that make or play games, regardless of age or gender. Last weekend, I had the opportunity to attend GaymerX East in New York City, the first East Coast event for the organization and one that offered me an entirely different side of the gaming industry than I had encountered before, but offered me incredible insights and background on the LGBTQIA gaming community. GaymerX was originally formed in 2012 by Matt Conn — the CEO of geek culture company Midboss and a “gay man and lifelong gamer” — and aimed to bring an event geared toward the LGBTQIA community to the masses. Specifically, a large part of that motivation from Conn and others that have helped to support the organization were inspired to create the events due to the sometimes unwelcoming environments created by larger-scaled events towards LGBTQIA people. However, the intention of GaymerX since its inception hasn’t been to create a “division” among gamers, but instead offer a “safe place” for LGBTQIA gamers and to unite gamers of all backgrounds. The first GaymerX event, initially known as “GaymerCon,” was launched through a Kickstarter campaign in August 2012, with the project reaching a final funding total of over $90,000: nearly surpassing its funding goal of $25,000 by four times. 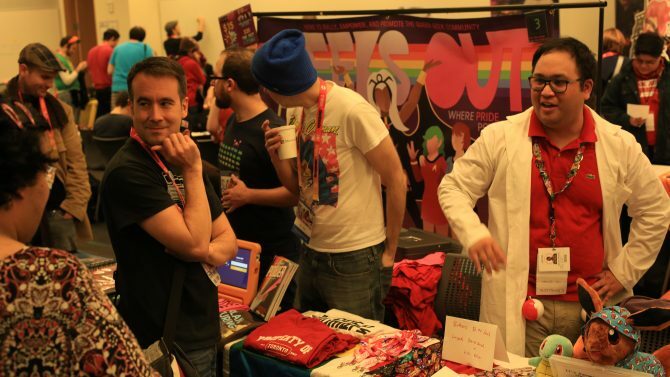 Following its Kickstarter campaign, the inaugural GaymerX event took place on August 3rd & 4th, 2013 in San Francisco, CA, with the first convention reaching a total of over 1,400 attendees. The Kickstarter campaign video for GaymerCon — the first official event from GaymerX — that was successfully funded in 2012 and was held in 2013 in San Francisco, CA. In that time, GaymerX has grown substantially while keeping its more modest, intimate focus, compared to other large-scaled gaming events. Following the first GaymerCon, the organization’s second event, GaymerX2, took place once more in San Francisco in July 2014 with a total of nearly 2,000 attendees. The subsequent events — 2015’s GX3: Everyone Games and this year’s GaymerX: Year Four — each surpassed 2,000 attendees with their locations in San Jose, CA and Santa Clara, CA (respectively), and each featured special guests and support from the gaming community, including appearances from Jennifer Hale, Dave Fennoy, Ellen McLain, and many others. 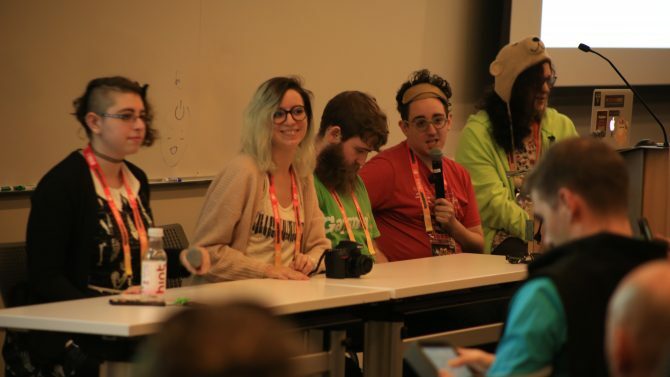 GaymerX has also branched out into other parts of the video game community with its GXDev: Everyone Creates event in 2015, which brought 60 attendees from across the world together for a look at game development from the LGBTQIA perspective. In 2016, the show reached across the pond for its first international show, GX Australia, that brought together over 900 gamers for a weekend in Sydney, Australia to celebrate the gaming community. 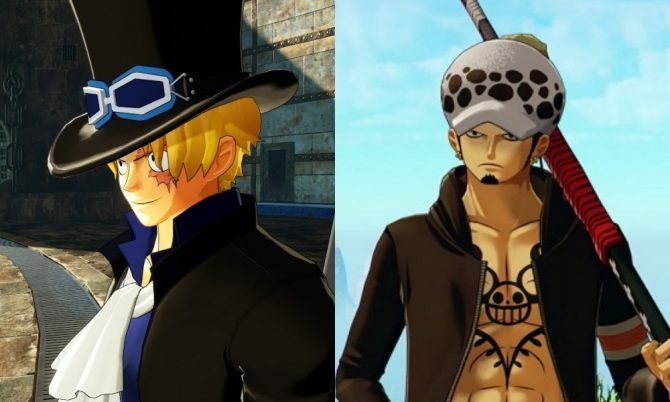 In the years since its debut with a modest Kickstarter-funded budget, sponsorship from each of the events has grown and included support from companies as varied as Microsoft, Ubisoft, Blizzard Entertainment, Unity, NIS America, Harmonix, Intel, Github, and dozens of others. 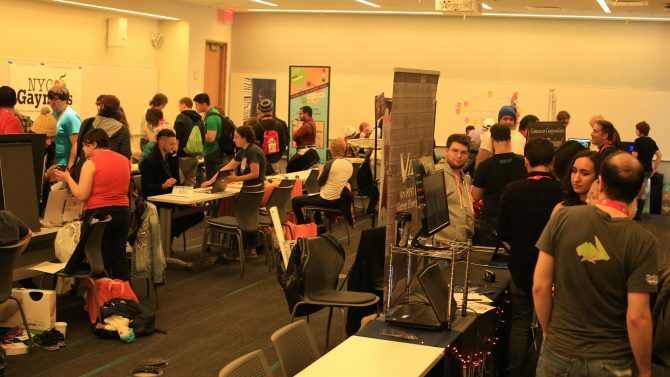 GaymerX East, which took place at New York City’s Microsoft Technology Center on November 12th & 13th, is notably the organization’s first-ever East Coast event. With the majority of its previous events on the West Coast, I was eager for my own opportunity to not only engage with a GaymerX event for the first time, but for the chance to learn from and experience a celebration of the LGBTQIA community with an event for that group to call its own. 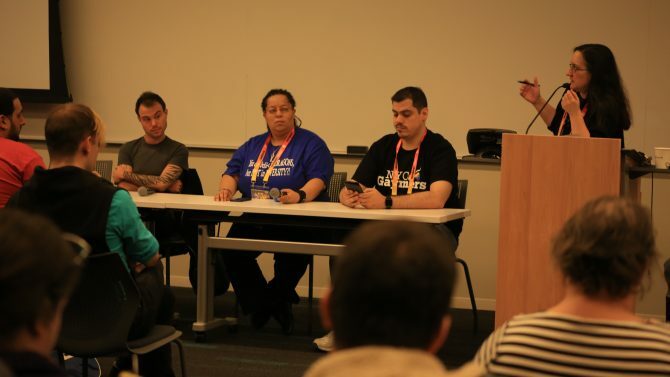 Midboss CEO and event founder Matt Conn and the other staff/volunteers of GaymerX address attendees at the inaugural GaymerX East in New York City. Spread across two floors of the Microsoft Technology Center, the most striking and immediate feature of GaymerX — compared to other conventions that I’ve been to — was its size and scale. 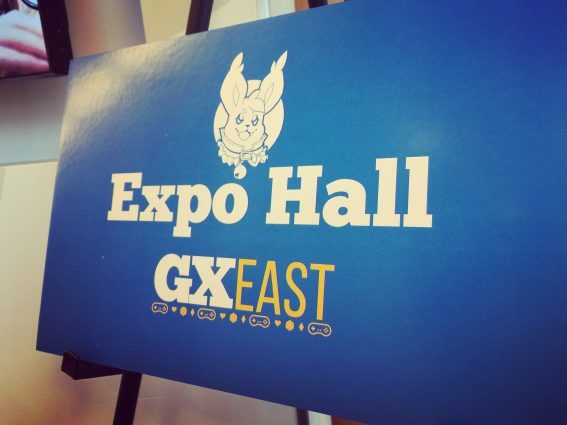 Though GaymerX was maybe 1/10th the size of what might be expected from something like PAX or E3, GX East’s intimacy and smaller-scale allowed for a more in-depth look and discussion with gamers and developers from around the world. 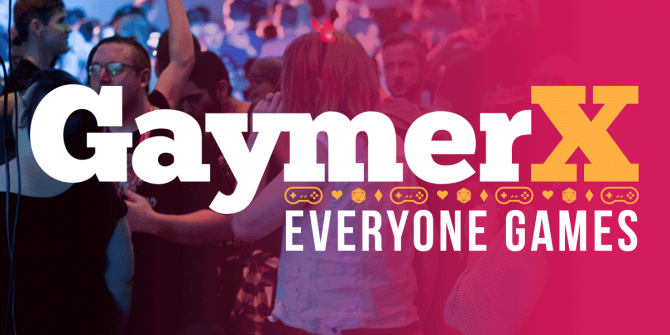 Even more apparent at GaymerX East was the organization’s dedication to making the convention environment a safe and inclusive space for all, regardless of age, gender, or orientation. With just a few hundred attendees at GaymerX East compared to larger events, spacious, open hallways and lounges to relax or unwind were common and welcoming, instead of the sometimes claustrophobic experiences that I’ve had at New York Comic Con or PAX. GaymerX East’s Expo Hall was home to a wide variety of developers, vendors, and more showing their games and work-in-progress, merchandise being sold, and discussions with show attendees. Both floors featured kitchens for coffee, tea, or water available to those looking for a break from the action, or to chat with other convention go-ers on games they’ve seen. While waiting in line to register, attendees were given ribbons that denoted gender pronouns to note to others their proper identification, and gender-neutral bathrooms were also provided on every floor. Though the convention itself was open and spacious, specific quiet and safe rooms were also available for anyone that needed some time away from the busier areas of the convention. Even with its smaller size and focus, GaymerX East was a bustling weekend filled with positivity and a chance to get hands-on time with games and talk to the passionate developers in attendance. 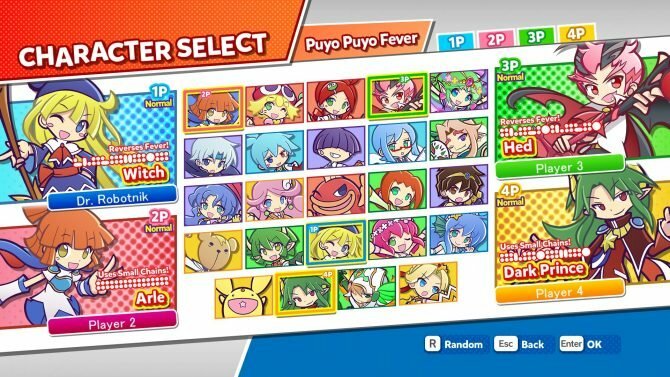 While I was just in attendance for one day of the convention, I had the chance to experience a pretty wide variety of what GaymerX East had to offer for everyone. Panelists Riley MacLeod (Kotaku), Tanya DePass (I Need Diverse Games), James Nieves (NYC Gaymers), and moderator Jude “JD” Biersdorfer (The New York Times) hosting the “Gaming Journalism from the LGBTQIA Perspective” panel at GaymerX East. In particular, this started off with the opening ceremonies of GaymerX East, with founder Matt Conn and the rest of the GaymerX staff and volunteers in attendance to help kick off the event, lay down some ground rules and, most of all, to establish the positive tone and outlook for the weekend ahead. That focus continued on through the rest of the morning in the “Gaming Journalism from the LGBTQIA Perspective” panel that I attended soon afterward. Once there, panelists Riley MacLeod (Managing Editor, Kotaku), Tanya DePass (Director, I Need Diverse Games), James Nieves (Organizer, NYC Gaymers) and moderator Jude “JD” Biersdorfer (The New York Times) discussed and took audience questions on the matters of diversity and LGBTQIA issues in games journalism and press, and the gaming industry at large. The rest of the day I then spent on exploring the showfloors of GaymerX East, bouncing from room-to-room and finding more surprises along the way. 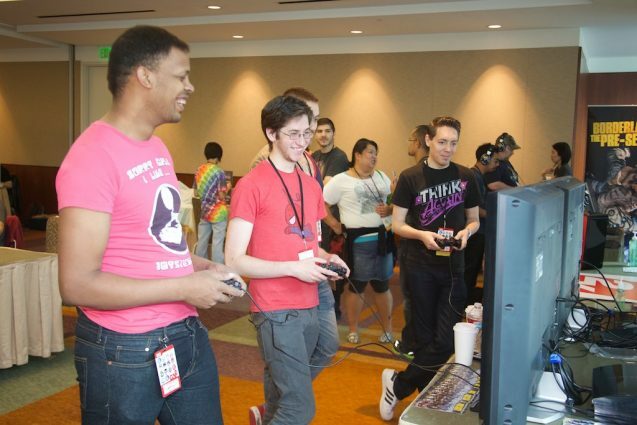 No game convention would be complete without the chance to play some games, and on that front GaymerX East delivered with freeplay rooms where attendees could get hands-on time with a wide selection of old classics and new favorites. 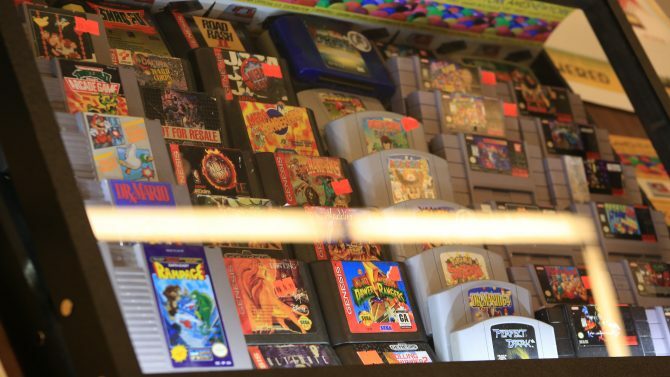 Sponsored by the local gaming retail icon VideoGamesNewYork, attendees could play classics like Mario Kart 64, Super Smash Bros., and more in a safe, welcoming environment for all to enjoy. I’d easily admit that a good deal of my time on Saturday was spent in a room dedicated to playing Super Smash Bros. for Wii U with several other GaymerX East attendees, and I had a blast while taking a break from the rest of the convention action. GaymerX East made plenty of games available for attendees to try out in freeplay rooms, with sponsors such as VideoGamesNewYork and more providing games and consoles for guests to enjoy. 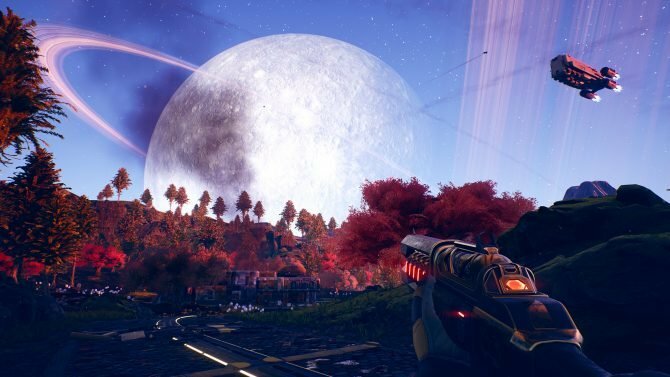 One of the biggest attractions of the event, however, was the GaymerX East Expo Hall, where the majority of the convention’s developers and vendors gathered to show off games-in-progress, sell merchandise, and more. While downright tiny compared to the massive Expo Halls one might see at PAX or E3, GaymerX East’s Expo Hall wasn’t lacking at all in spirit or excitement, both from the developers and companies in attendance and the convention-goers looking to check out unique independent games or supporting LGBTQIA-developed projects. Several developers had their games available on the Expo Hall floor for attendees to walk up to and try out, such as Midboss’ own independently-produced title Read-Only Memories. 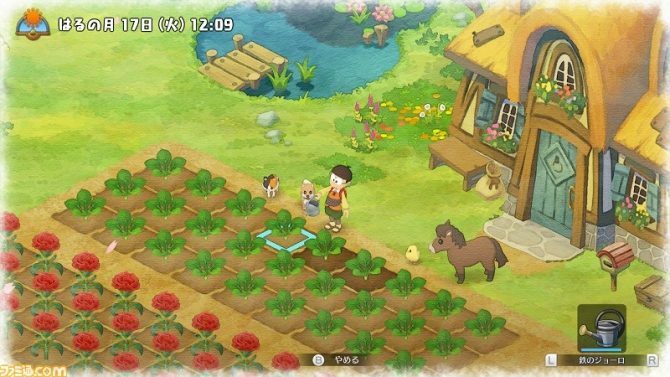 Along the way, I also got the chance to experience some unique titles like Vidar, a “combat-less” RPG where players have to uncover puzzles and mysteries while the small town around them features a constantly-dwindling population. Many guests and vendors at the Expo Hall were happy and eager to talk to attendees at GaymerX East, with plenty of game demos, merch, and more available for everyone. The Expo Hall also led me to numerous other unique and quirky titles like The Low Road, a point-and-click adventure game where players are espionage agents uncovering secrets in government documents, and Open Sorcery, a text-based adventure game about “technology, magic, and becoming a person.” Humorously, the hall also featured Drumpulous, a game on Itch.io that let players shoot dildos at Donald Trump – surely a welcome relief for both myself and other attendees at the show from a stressful, anxious week before the event took place. While I only had just one day of a whole weekend to experience what GaymerX East had to offer with a range of panels, exhibits, and more, that time was already enough to show that GaymerX was quite a different event from what I’ve seen at previous conventions, but no less welcoming or endearing for those that love video games. Especially in recent times that have been trying for those in the LGTBQIA community, having games as a form of escapism is something that’s needed now more than ever for many. Though GaymerX is aimed at LGBTQIA gamers, its message of positivity and inclusion is one that is encouraging for gamers of all backgrounds, and (hopefully) in the coming years that message will become clearer, stronger, and more powerful with every day. For many, GaymerX allows a unique opportunity for LGBTQIA gamers to come together and celebrate the community, while providing a safe, inclusive environment for all gamers. GaymerX’s next event will be GX Australia 2017, which will run in Sydney, Australia from April 29-30, 2017 at the Sydney Showground. 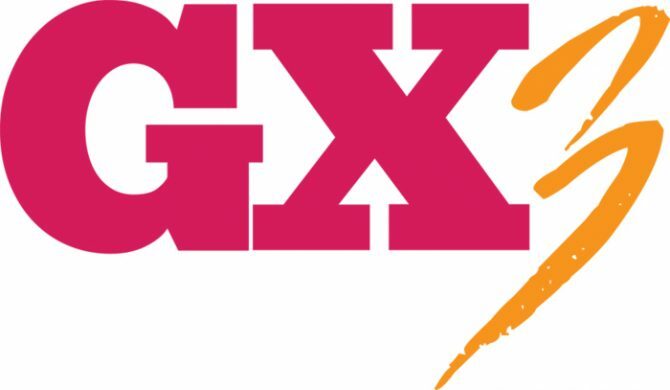 For more updates on GaymerX, you can register for the organization’s mailing list on their official website, or follow GaymerX on Facebook or Twitter for info on their upcoming events. Returning to New York City this fall, GaymerX East will bring together gamers in Times Square, with a Kickstarter campaign launched for the event.